In the ever-changing healthcare environment, the profession of healthcare management needs strong leaders who will rise to the challenges of today and carry organizations into the future. The Emerging Healthcare Leader: A Field Guide is an essential resource as you begin your journey from student to healthcare leader. In the book, my co-author Natalie and I offer practical suggestions and share anecdotes, personal stories, and valuable lessons learned from professional experiences over the past decade. This is not your father’s (no offense, dad) management book. It’s a back pocket resource, a phone a friend lifeline, a candid glimpse into healthcare administration and leading young, and a read it and re-read it type of book! 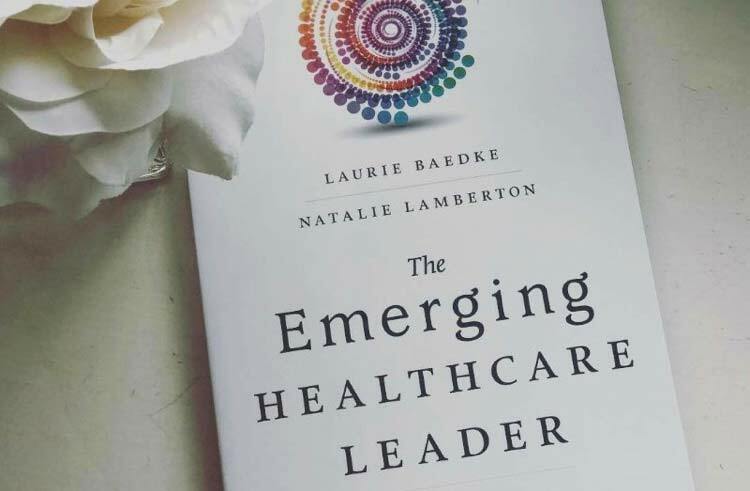 This book is the resultant love child of one of the most remarkable blessings of my professional career; serving as the co-presenter and fellow faculty member for the American College of Healthcare Executives’ annual Congress on Healthcare Leadership with my dear friend and colleague, Natalie Lamberton. I met Natalie, now Chief Operating Officer at Jackson North Medical Center in Miami, FL, at ACHE’s Leader’s Conference, in the spring of 2007. I immediately sensed that, not only was I in the presence of a fast rising rock star in the industry, but also a colleague who brought to the table diversity of career path experience (I have grown up on the physician practice and consulting side of healthcare, and Natalie on the hospital operations side), and an uncannily complementary personality, and drive, and passion to share of her experience and to teach. Natalie and I connected over a meal in Phoenix, and about a month later submitted a proposal to ACHE for what has now become a perennial favorite and highest rated Congress session. Nine years (and counting) later as Congress faculty, and with a second edition of this book in development, we are partners in crime for life.